With technology developing so quickly, here at Elmsleigh a key part of our learning is how to keep safe when online. Key messages about how to manage online safety are threaded through everyday teaching and learning, with a focused Safer Internet Day taking place once a year . 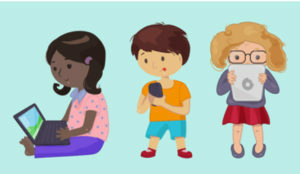 Talking to children about online safety is essential because many will be using a wide range of technologies at home, even before they start school. As a parent, knowing how best to support your child online can be difficult, especially as sometimes they seem to know more than us as adults. At school we link into www.childnet.com and use stories linked to Smartie the Penguin to convey key messages which the children relate very well to. Safety advice must be simple and understandable, especially for our youngest children. Please do not hesitate to speak to a member of staff if you have any questions or concerns about online safety.